Your message is your platform. 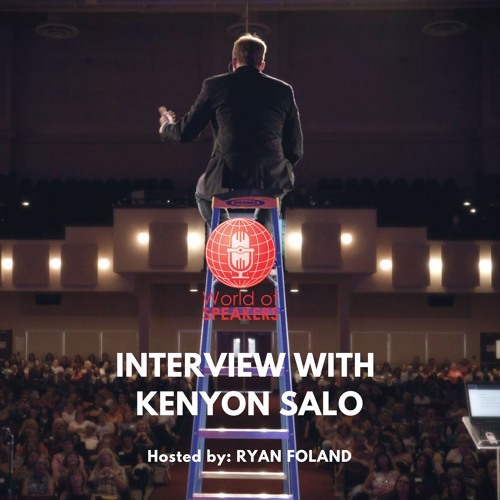 Ryan Foland speaks with Salo… Kenyon Salo (aka. The James Bond of speaking). Kenyon is a high-voltage speaker who takes audience engagement to the next level. His years of experience as one of the Denver Broncos Thunderstorm Skydiving Team gives him a unique perspective on living life to the fullest. Ryan and Kenyon talk about how speakers can set themselves apart from the crowd by looking for opportunities to do things differently and channel their inner confidence to deeply engage their audiences. Listen to this podcast to find out: - Why you need to find out what your key message (or platform) is, and how to change it based on which audience you are speaking to. - How to engage and create content specifically for modern audiences (TOP TIP: Stop using bullet points on your slides.) - Why audience engagement is the number one thing that will set you apart from all the other up-and-coming speakers. - Why you need to start taking action: stop being obsessed with how you are going to do something and jump in - How to effectively use technology on stage.